Last week I decided to try something new for meal prep – tofu! So technically one of my meals was vegan this past week. I’ve had tofu a few times before, mostly in miso soup at sushi restaurants, but I started seeing a bunch of tofu recipes in my Pinterest feed. If you’re not following me on Pinterest – what’re you doing?! Feel free to start following me here. So for this I started off with 1 zucchini and 6 or 7 carrots. I peeled the carrots, and then put the carrots and zucchini through my favorite veggie spiralizer. This probably took the most amount of time because the carrots are generally a little harder to spiral, but it still only took about 10-15 minutes for everything. Next thing I did was open 2 packages of tofu, one was firm and the other was extra firm. All I did was drain them and chop them up into cubes and they were ready to be cooked! Warning: do not taste tofu plain – it tastes like cardboard before you cook and season it. While the tofu was cooking, I opened up the pork tenderloin, topped it with some more minced garlic, and slipped that into the oven at 375F for about an hour or a little longer until I cut it and it was fully cooked. Pretty simple for the pork! I also started the rice when I put the pork in the oven. It was nothing crazy, just 5 cups of rice, 5 cups of water, minced garlic, garlic salt, pepper, cumin, and a tiny bit of turmeric. I use a rice cooker so I set it to cook, and it did it’s thing for 30 minutes and then the rice was done. For the chicken I just put about 5lbs into the slowcooker/crockpot, added minced garlic of, garlic salt, pepper, and cumin and set it on high for 4-5 hours. After the chicken was done I just shredded it with a fork, it was pretty simple! Once the tofu was done, I started cooking the carrot noodles first. They are harder and have less water content – so they take longer to cook. I actually had to split up the carrots into 2 batches, so it was a lot! Not in a bad way, since carrots and zucchini are low calorie, the whole point of using them instead of pasta or rice is because I can get so much VOLUME out of them for each meal. After the carrots cooked for about 8 minutes on medium to high heat, I added the zucchini for 3 or 4 minutes at medium heat. Zucchini has a high water content, so when you cook them the water releases and they can get soft and soggy quickly, I don’t mind it – but I wasn’t going for that texture since I knew when I reheated these meals the zucchini would cook a tiny bit more. So I was happy leaving the zucchini a little closer to the carrot consistency, instead of over-cooking them. In the end, I did about 1 cup of rice with 4 ounces of chicken and some canned French style green beans. Then I had veggie noodles and almost equal amounts of tofu, with the same green beans. 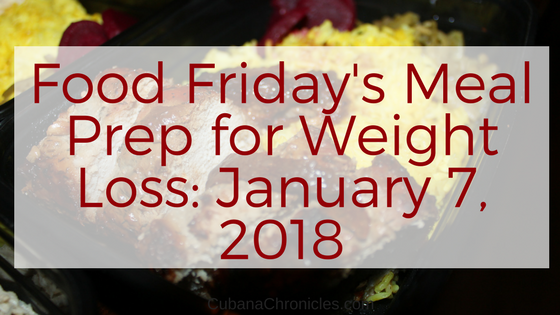 For Trey, he only eats dinner at work (usually cottage cheese is his lunch), so he got 1.5 cups of rice, with 8 ounces of chicken or 6.5. ounces of pork. All his meals had green beans and beets, too! I have a video of the meal prep on youtube here! Make sure to pin this, too!